Medical Tattooing is highly specialised and should only be performed by advanced Cosmetic Tattoo Technicians who have completed in depth training in the particular service, each of the cases presented within the case studies include recommendations for training courses and publications for additional reading specific to the individual services. Andrea Darby is at the forefront of medical tattoo services and is regularly consulted by technicians from around the globe due to her advanced knowledge in this field. 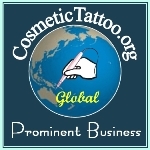 Case studies provide an insight into the equipment and products used to create different types of cosmetic tattoo outcomes for clients, the following pages include a range of different types of services with links to the specific products used in each service. This information is not intended to be a 'how to guide' or to replace recommended comprehensive Training with Andrea Darby it is merely an overview of the kinds of results that can be achieved and the types of equipment and products required. NB. you may need to log in to your account in CTshop to see the case studies described above.